Regular physical activity promotes general good health, reduces the risk of developing many diseases, and helps you live a longer and healthier life. For many of us, "exercise" means walking, jogging, treadmill work, or other activities that get the heart pumping. The average 30-year-old will lose about a quarter of his or her muscle strength by age 70 and half of it by age 90. "Just doing aerobic exercise is not adequate," says Dr. Robert Schreiber, physician-in-chief at Hebrew SeniorLife and an instructor in medicine at Harvard Medical School. "Unless you are doing strength training, you will become weaker and less functional." Exercises that use your body weight to create resistance against gravity. A beginner's strength-building workout takes as little as 20 minutes, and you won't need to grunt, strain, or sweat like a cartoon bodybuilder, either. The key is developing a well-rounded program, performing the exercises with good form, and being consistent. You will experience noticeable gains in strength within four to eight weeks. Buying your own equipment is one option. Sets of basic introductory-weight dumbbells cost $50-$100. Health clubs offer the most equipment choices, but of course, you have to pay monthly fees. Books and videos can help you learn some basic moves and start developing a routine. Many senior centers and adult education programs offer strength training classes, as well. However you start, go slow so you don't injure yourself. Discuss your new exercise plan with your doctor and explain the level of workout you expect to achieve. Mild to moderate muscle soreness between workouts is normal, but back off if it persists more than a few days. 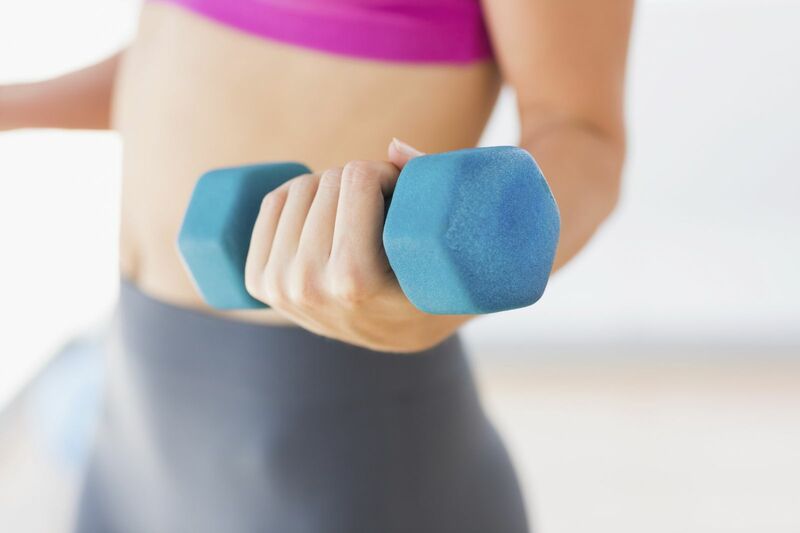 For more information on the benefits of strength training, buy Strength and Power Training, a Special Health Report from Harvard Medical School.